Item What Can I Do to Stop Abortion? Description: Pro-Life? Want to make a difference? Many people have their hearts in the right place, but just don’t know what to do about a problem as big as the abortion issue. This handy brochure has 22 effective ways to get going. 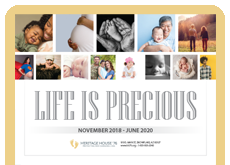 From ways to pass out literature, to financial support of Pro-Life groups, to volunteering time at a CPC, this pamphlet gives easy, achievable ways to help in the Pro-Life movement. A great handout for churches. Great pamphlet! I use it for people who ask, “What can I do? “ It gives concise answers to motivate people to action. 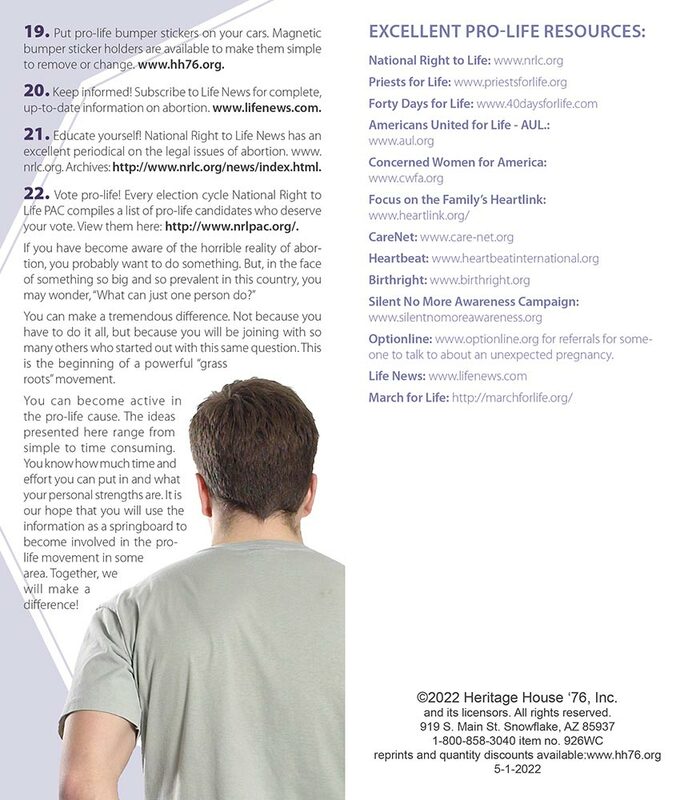 We use this pamphlet consistently to educate the public about ways to help. Its important not only to share the message of the sanctity of human life, but to give others an opportunity to do something. This is a great brochure to hand out to all ages, because there is something every one of us can do.